Would you like to volunteer for the Fair? Visit Hands On Nashville for this and many other volunteer opportunities. 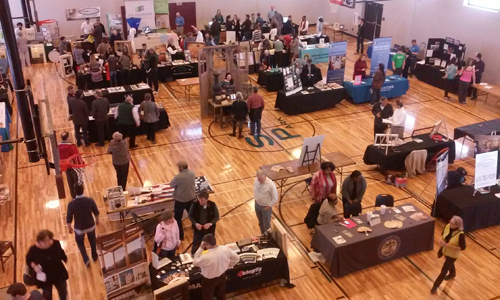 The Metropolitan Historical Commission Foundation and partners will host the 2019 Old House Fair on Saturday, March 2, 2019, 9 a.m.-3 p.m., at the Sevier Park Community Center, 3021 Lealand Avenue. The Old House Fair is a FREE day-long festival showcasing new ideas, practical advice, innovative materials, and quality services for homeowners to learn more about sustainable and historic products and services, and gain tips for planning and executing your project. Exhibitors included companies, retailers, and artists experienced in working with homes of many ages and styles, from Antebellum to Mid-century Modern. Sponsorship opportunities available. If you are interested in being a sponsor, please contact Robin Zeigler at robin.zeigler@nashville.gov or 615-862-7970 ext.79776. Please check back for a complete list of 2019 sessions that will include topics such as energy efficiency and restoring a 1950s era ranch. Learn how a local preservationist undertook an award-winning restoration of a historic 1954 Ranch House in Madison. This session will review lessons learned and suggestions on repairing and restoring original character defining features such as wood frame windows, asbestos shingle siding, interior moldings, and exterior trim. This session will include a review of all the cool original features of a Ranch House, including steel kitchens, laminate countertops, electric wall heaters, and tile bathrooms. Renovating an old home? How to take a holistic approach and achieve compounding beneftis. Whether you are renovating or updating your home, taking a holistic approach to the design and construction can create many benefits beyond energy efficiency. E3 Innovate, Nashville’s experts in green renovation, shares the top 3 strategies for creating a high performance home. Using integrated design techniques and the application of the latest technologies, this holistic approach helps homeowners achieve healthy indoor quality, personalized comfort, and long-lasting durability. Preservation Easements are the strongest tool for preserving your historic building or home. During this workshop, representatives from Historic Nashville, Inc. will discuss their preservation easements program including what is a preservation easement what are the benefits of donating an easement, and how a preservation easement can ensure the preservation of your historic home. Historic Nashville, Inc. established the state’s first preservation easements program in 1982 and currently owns 18 easements within Metro Nashville-Davidson County including the Hermitage Hotel and the Southern Turf.